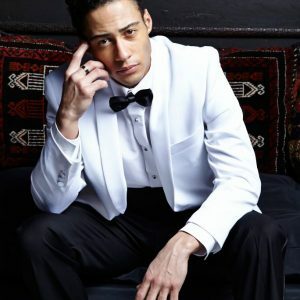 The White ‘Mirage’ Mandarin Tuxedo by Jean Yves takes the simple lines of traditional black tie to an even more streamlined style. 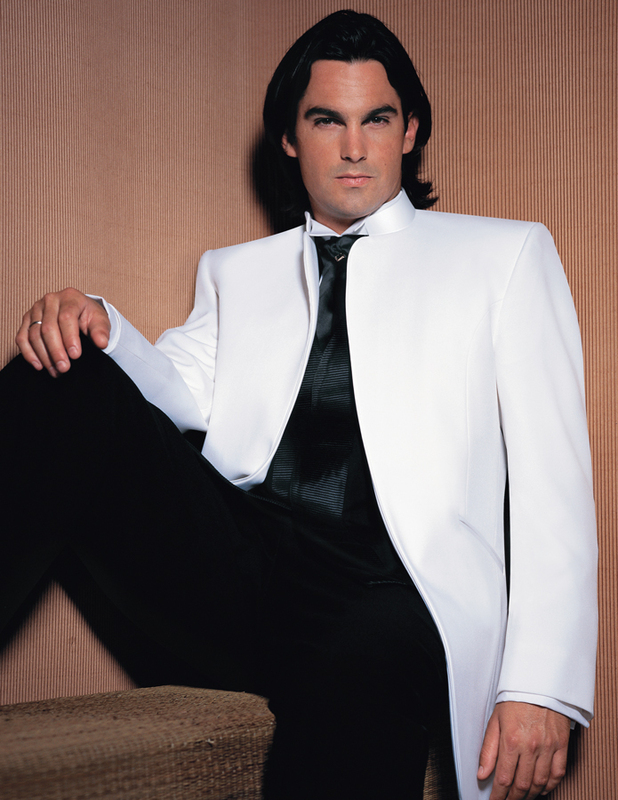 This fashion tuxedo features an open front with no buttons, no lapel, a satin mandarin collar, and slanted satin besom pockets. 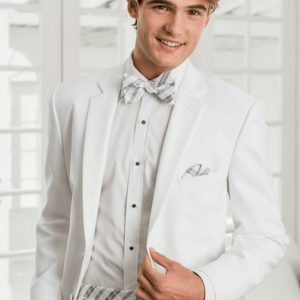 The minimalist approach to formal fashion is both contemporary and tasteful, perfect for anyone wanting to make a statement at their next formal event!